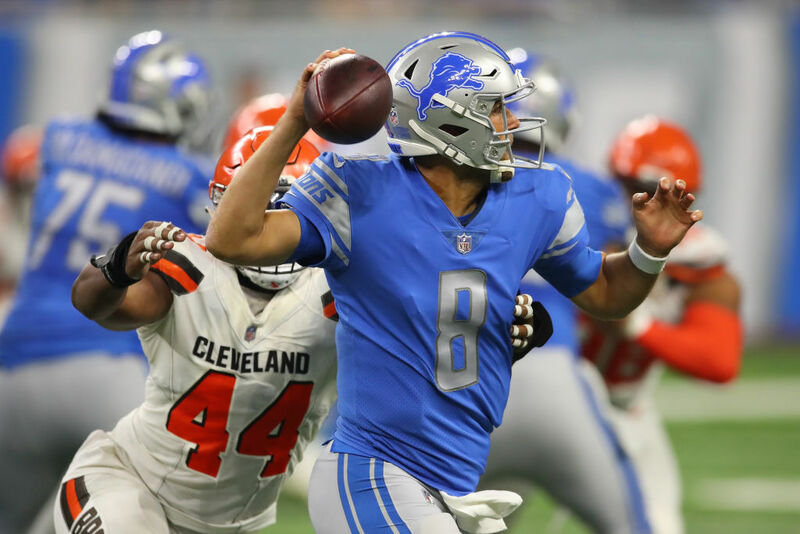 In the Detroit Lions' Week 1 48-17 blowout loss to the New York Jets, Lions backup Matt Cassel got to come in for a few snaps. He finished 2 for 6 for 14 yards and an interception, a far cry from the peak of his career. But don't feel too bad for Cassel's limited play. By Week 9 of this season, he'll pass $65 million in career earnings. The former Patriots backup has been a journeyman throughout his career, never spending more than four seasons on the same team. After one season as a Tom Brady replacement in New England, Cassel has had stints on the Chiefs, Vikings, Bills, Cowboys, Titans, and now the Lions. It hasn't always been pretty. Cassel finished 10-5 that year in New England, and 10-5 his second year in Kansas City. Aside from those two seasons, Cassel's career record as a starter is 16-35. For his career, Cassel has completed less than 59 percent of his passes for 2,680 yards, 104 touchdowns and 82 interceptions. Now in his 14th season, Cassel will make a shade over $1.1 million this year. But that's enough to bump him over $65 million for his career. While his starting days are likely over, he's still done quite well for himself. Tony Romo has had a very strong 14-year career in the NFL – in fact, he's made more money than any other undrafted player to ever play professionally. He'll be earning nearly $20 million next year, which is more than the biggest names in the NFL. And it's thanks to his team's lack of trust in his abilities. A lot of crazy stuff happened this NFL season. Let's take a look at 50 mind-blowing facts from the 256 games played during the year.